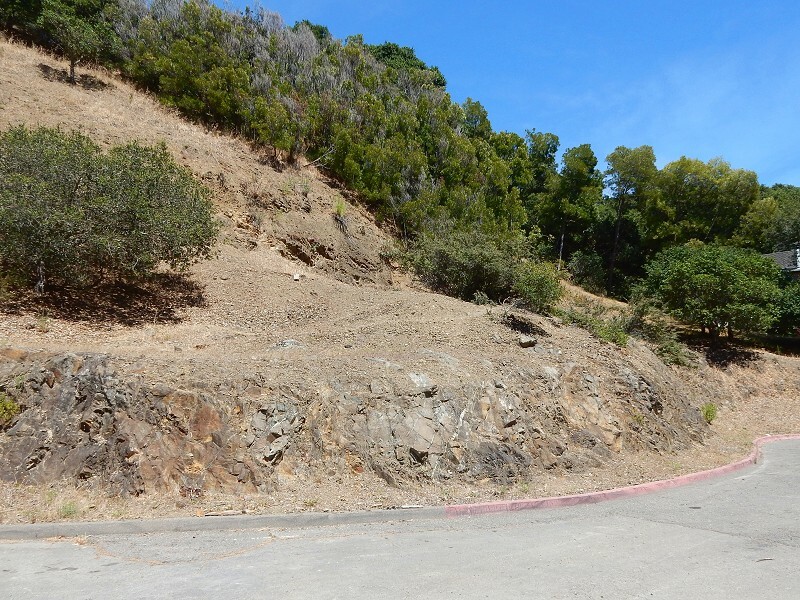 The Red Rock Quarry was apparently part of the Blair quarry complex in Moraga Canyon, at the west edge of Piedmont on Red Rock Road. Oakwiki reports that it was owned by the Henry Maxwell family (for whom Maxwelton Road is named). The 1947 USGS topographic map shows that the quarry was active at that time. I took photos of the rocks here last June. The parking lot exposes the rock pretty well. The area is mapped as Franciscan sandstone, which underlies most of Piedmont. 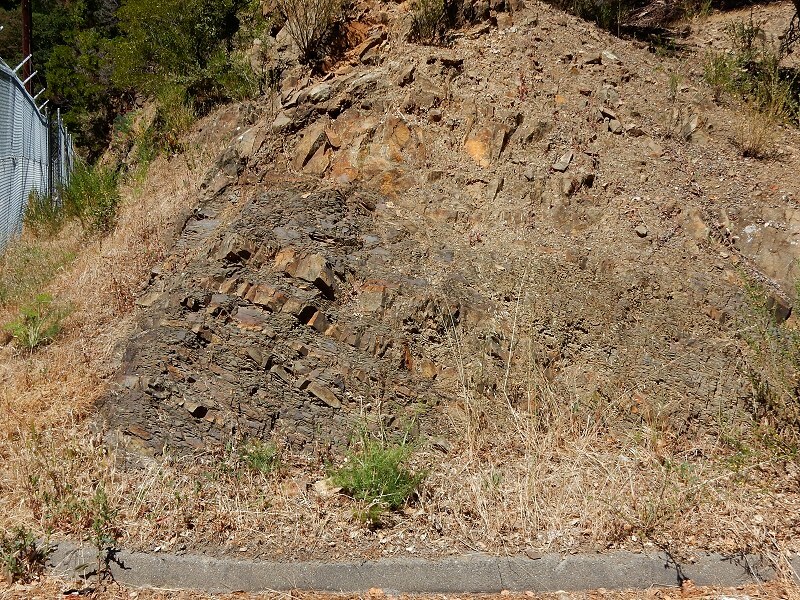 This locality is near the ancient thrust fault separating the sandstone from Franciscan melange to the east. Being near the fault would have subjected it to a lot of disruption, and that’s what you see here. The rock is somewhat disorganized, with massive beds on the right juxtaposed with thin-bedded mudstone in the center. Fractures in the massive sandstone have opened up, filled with carbonate material, then been displaced some more. The north edge of the parking lot exposes a nice set of turbidites. 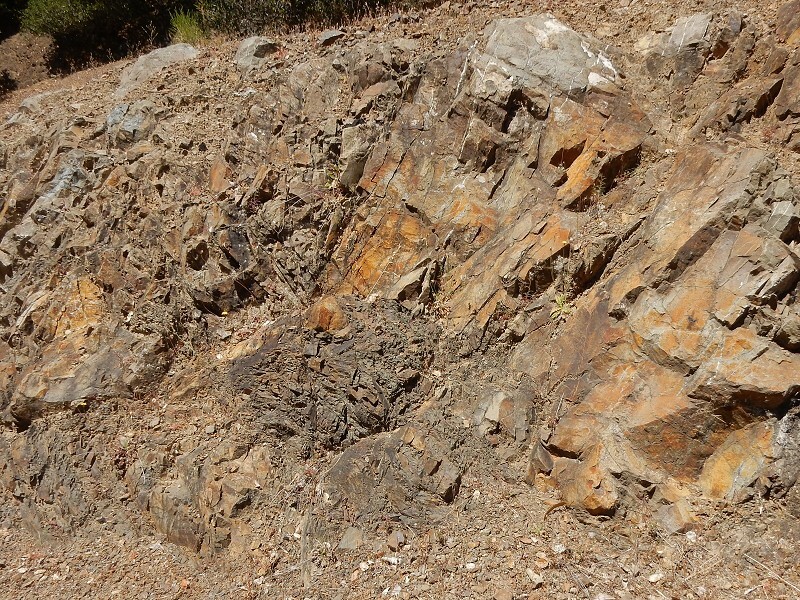 These are sequences that consist of beds of mudstone formed by repeated seafloor avalanches, separated by beds of shale that represent quiet times between avalanches. Blair and Maxwell made good money here and employed a lot of people. The rock was easy to dig out of the steep hillside, easy to crush without making a lot of wasteful dust, and easy to roll downhill to market. This quarry probably produced plain old crushed stone to be sold for landfill, foundations, concrete aggregate, roadbeds and the like. 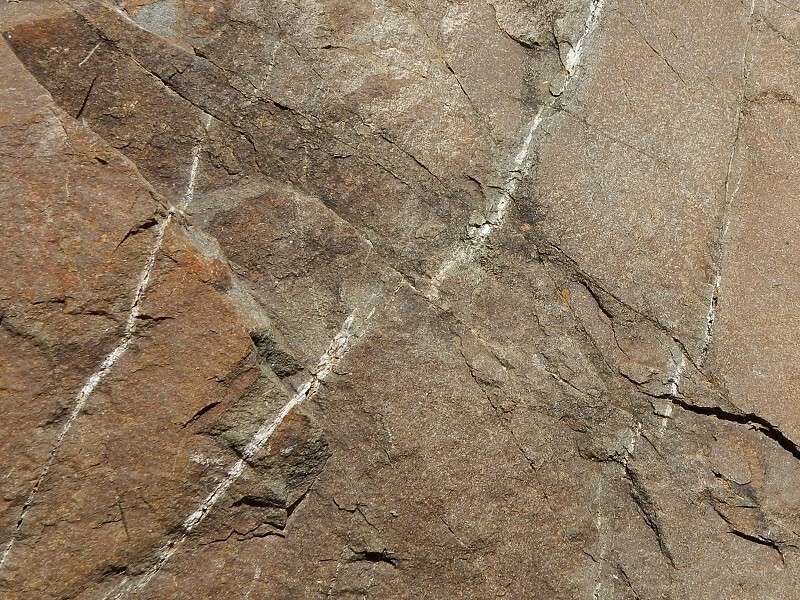 It was not the more desirable, cherty “phthanite” or siliceous argillite found elsewhere in Piedmont’s Franciscan rocks. I say “probably” because I couldn’t inspect the whole pit. What I really wanted to do was examine the walls of the quarry itself, which are fenced off. 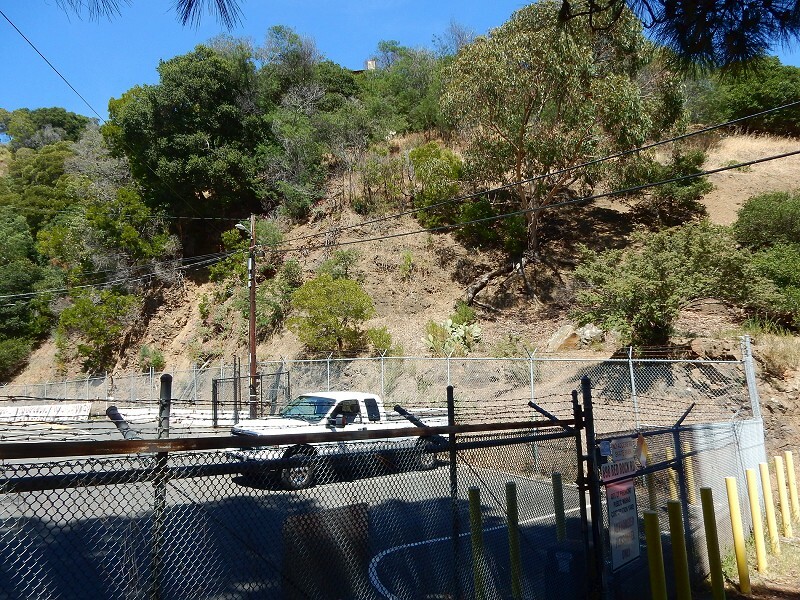 They’re fenced off because today the quarry is the readymade site of the City of Piedmont’s corporation yard. As is often the case, this quarry was reused after its initial purpose was gone. This entry was posted on 9 January 2017 at 8:02 am and is filed under Franciscan rocks, Old quarries. You can follow any responses to this entry through the RSS 2.0 feed. You can skip to the end and leave a response. Pinging is currently not allowed.